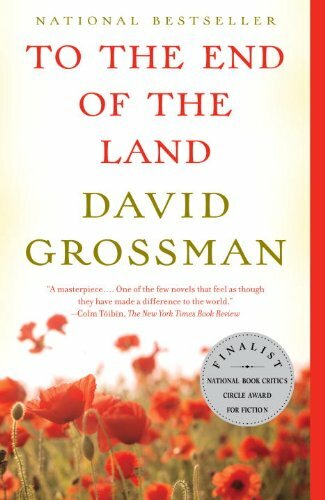 "In this stunning, bestselling novel—and an NBCC Award finalist—David Grossman tells the powerful story of a mother’s love for her son. Just before his release from service in the Israeli army, Ora’s son, Ofer is sent back to the front for a major offensive. In a fit of preemptive grief and magical thinking, so that no bad news can reach her, Ora sets out on an epic hike in the Galilee. She is joined by an unlikely companion—Avram, a former friend and lover with a troubled past—and as they sleep out in the hills, Ora begins to conjure her son. Ofer’s story, as told by Ora, becomes a surprising balm both for her and for Avram—and a mother’s haunting meditation on war and family. One of the Best Books of the Year: The Christian Science Monitor, The Economist, The New Republic, The New Yorker, The Washington Post, and The Pittsburgh Post Gazette"
A special thank you to book club member, Karen Roberts for the suggestion.